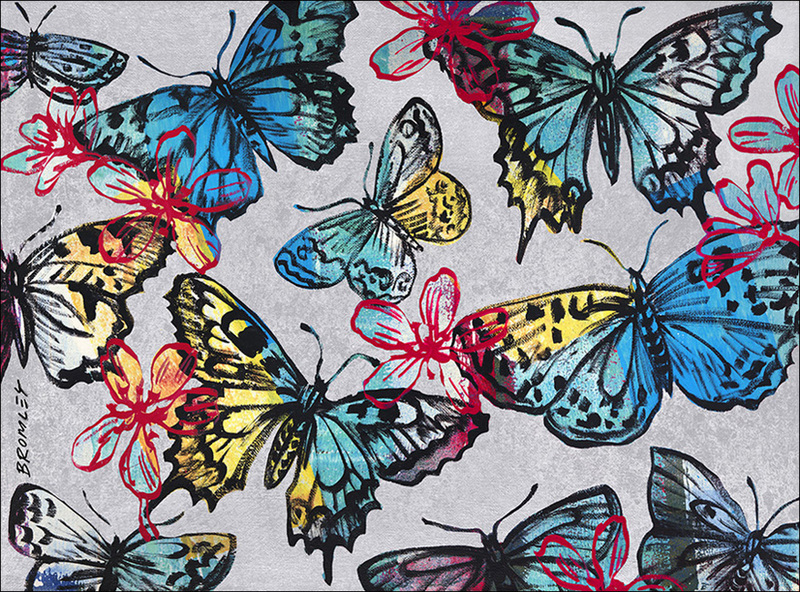 Etching House has available David Bromley’s limited edition fine art work titled Butterflies I.
Butterflies I, is a limited edition archival pigment print made on archival watercolor paper. Butterflies I was Released in 2013, the edition is limited to 60 only, Butterfly I image is uniquely printed to the edge spanning a image size of 77x104cm, David Bromley has hand signed Butterfly I on the lower left side. The official David Bromley Embossed artist studio seal appears in the lower left of Butterfly I available at Etching House. Lay Buy payment plan for Butterfly I (Butterfly one) is available at Etching House on 20% deposit. A selection of David Bromley Silkscreen, limited edition archival pigment prints are available at Etching House.